We specialise in car audio and security in Hamilton, we have a large range of products for everything to do with your car. We can supply Car Audio brands such as - Pioneer, Kenwood, Panasonic, Sony & install them for you to, talk to us today for a free no obligation quote and let us help find the right product for you. We also can supply and install Alarm systems to protect your car, We are authorised installers for AVS Car Security and Mongoose Safety & security. We also have other brands with 1 sure to suit your vehicle and budget. 4" DVD with blue tooth, Mp3 WMA CD, hands free kit & microphone built in from $390 installed. 7" in dash DVD, usb front from $449 installed. 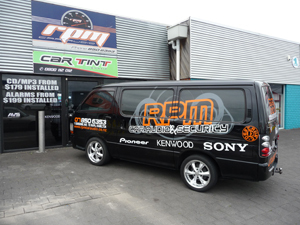 We can also fix and replace most car aerials all in the 1 location in Te Rapa, Hamilton. You can Phone Barry on (07) 8506353 - (027) 2575400. AVS make a large range of star rated alarms all come with a 3 year warranty. With a product to suit your car from mild to wild. We are members of the New Zealand Security Association so you know that with every alarm we install you are protected. We are approved installers so every star rated alarm we install we can supply a certificate for your insurance company . With Mongoose Safety and Security protecting your investment you can sleep easy, come in to find out what options we have in the mongoose range. why not email or call us today! Thank you for visiting our web site and we look forward to talking to you soon.